KoopaTV: Playtonic's Yooka-Laylee Kickstarter: Undisguised Success?! 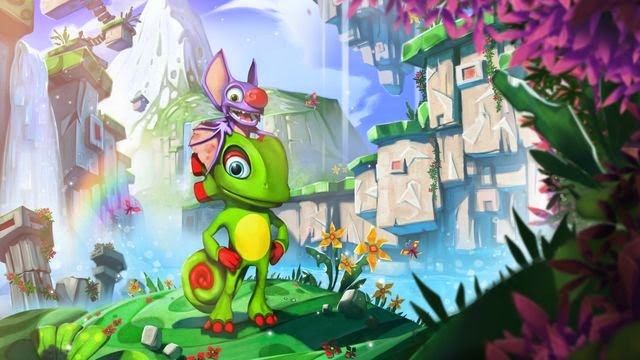 Playtonic's Yooka-Laylee Kickstarter: Undisguised Success?! By RAWKHAWK2010 - Mayday! Mayday! They're running out of stretch goals! April showers bring May flowers, as the saying goes. The past month has been filled with earthquakes, riots, Tax Day, and all manners of other catastrophe, but May has arrived and it seems to be off to a pretty good start. One marked by the full reveal of Playtonic Games' Yooka-Laylee. And yeah, it looks güd. Looks like that Banjo-Kazooie "Rare-vival" everyone wanted, complete with whimsical 64-era platforming, catchy tunes, and a new wacky animal duo reflective of the original Banjo and Kazooie themselves. ...Although I'm not sure why Playtonic kept their genders under wraps for 24 hours, since it made us at KoopaTV gravitate towards some pretty out-there theories. Like that Yooka would be revealed to not have a set gender at all and that genderfluidity would be a primary game mechanic, with the cunning chameleon changing its gender (instead of its color!) so that it could sweet-talk sexually-frustrated NPCs out of their Pagies. The mechanics! The social commentary! When Playtonic mentioned that Yooka and Laylee would be their most "inventive protagonists yet", I guess you could say we set the bar preeetty high. And we've got high standards for music too, so Kirkhope has a hard road ahead of him if he aims to be on the same wavelength as David Wise, whose Kickstarter demonstration looks to pick up from where Donkey Kong Country: Tropical Freeze left off. With all that said, the staff here is largely impressed with what has been accomplished in three months of work, and I'd say that's the general consensus considering how the Yooka-Laylee KickStarter has raised over 1.3 million dollaroos and blasted through all but one stretch goal within mere hours of being a thing. And of the met stretch goals, there's one in particular that made us as happy as a tick on a fat dog, and that's that confirmed KoopaTV reader Kevin Bayliss (...as well as ex-Rare designer and voice actor for almost all the Kongs) will be contributing some exclusive character designs for the game! Kevin Bayliss is "with it!" What a day for Playtonic Games and KoopaTV alike. And you can bet we'll be back with more coverage of all things Yooka-Laylee, but it's almost midnight and we have a little thing called "policy" where we're sure to get an article out every single weekday SO BYE. We love to flatter our fans. Y'all are great. How much are YOU pledging? Less saying, more doing! 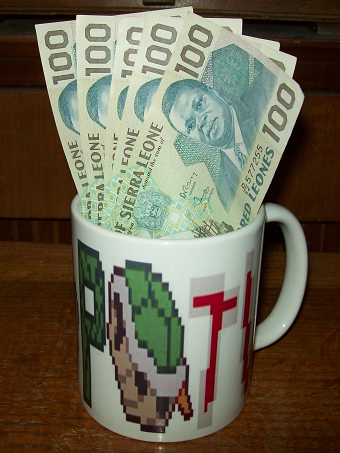 Throw your hard-earned USD, pounds, or Sierra Leonean bank notes at Playtonic right here! 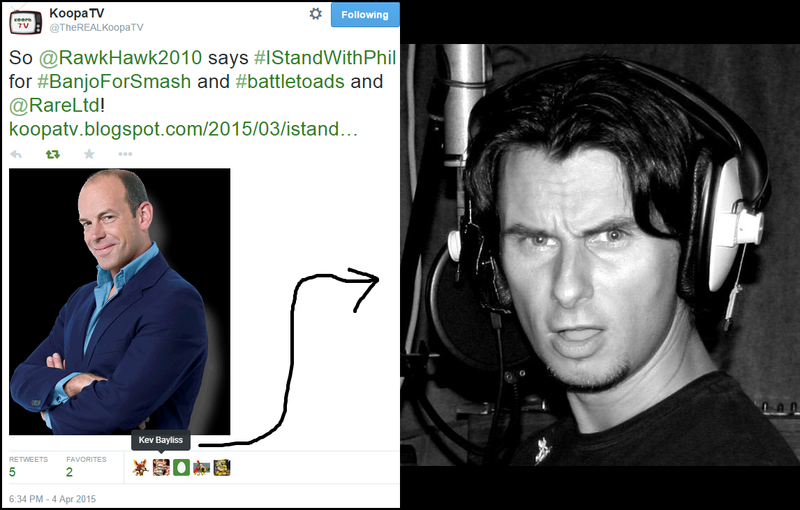 Not all is perfect with Yooka-Laylee, since JonTron and his fanbase are on-board. The Kickstarter was a massive success, but the finished game? Not so much. 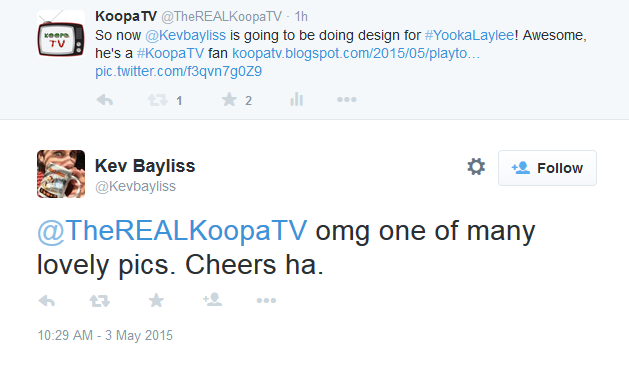 Yooka-Laylee, wooooo! I haven't pledged yet, because I haven't decided on a tier, but I spent part of yesterday looking at the page and watching the pledges go up and up!